The glamorous Queen Máxima of the Netherlands has sported an array of tiaras from the Dutch royal family's vast jewel collection, but back in 2001, she selected her very first tiara from the family's stash: the base of the Antique Pearl Tiara. The antique pearl tiara of the Dutch royal family is sometimes called the Pavlovnik pearl tiara, because Anna Pavlovna, the queen consort of Willem II of the Netherlands, once had a tiara quite a lot like it. This tiara, which was made in 1900, was designed to mimic the shape of the original Pavlovnik tiara. 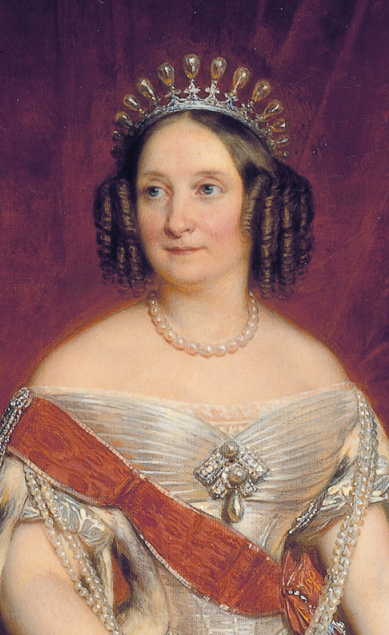 The large, pear-shaped pearls that sit upright in the tiara are even older than the piece itself. They belonged to Amalia of Solms-Braunfels, a seventeenth-century Dutch princess who shares her name with Máxima’s eldest daughter, Catharina-Amalia, the current Princess of Orange. Queen Wilhelmine was the first wearer of this tiara, and it has been worn by all Dutch queens since then. Queen Juliana inherited the piece from her mother in 1962. 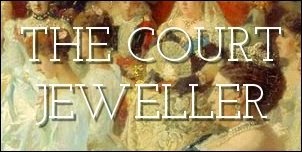 She placed the tiara in the family’s jewel foundation, ensuring that all future queens of the Netherlands will also be able to wear it. Since then, Queen Beatrix and two of her sisters, Princess Margriet and Princess Irene, have also donned the tiara. Although the tiara is almost always worn with Amalia’s pearls, Queen Máxima first wore the tiara without them. Her very first tiara outing happened before she was even a princess: she wore the pearl tiara (sans pearls) to the wedding of Crown Prince Haakon and Crown Princess Mette-Marit of Norway in 2001. Today, Máxima wears the complete piece; notably, she chose it for the striking portrait released to mark her fortieth birthday in 2011, and she's continued to wear it since becoming the nation's queen consort.